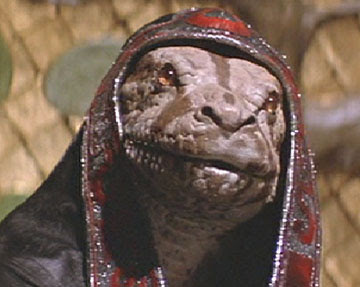 By means of this spell a cleric can transform one snake within range into awesomeness – like shooting lasers from its eyes, or having two heads, or regenerating while eating their own tails, or shedding skin to create extra boss magical leather armor, or dripping hallucinogenic addictive venom or whatever dude. The awesomeness may gain a reaction roll bonus from NPC’s who appreciate greatness and 1970’s Proto-Metal. This spell turns any snake, serpent, eel, worm, or other scaly tubular poisoned critter, like a purple worm, into a ladder with fanged hooks to grab on to walls, 10′ long per hit die. If the snake has more hit dice than the caster, whoever climbs the ladder must save vs. poison or be pricked by the poisonous fangs. This spell turns the cleric into a crazy snake-man. The cleric cannot speak in crazy snake-man form, cannot wear clothes and has no hands, but can slither around and pass through holes too small for a Halfling to crawl through. The cleric’s bite becomes deadly poison and he or she has Armor Class 6. If the crazy snake-man successfully bites a victim, he or she may coil around that victim to automatically do 2d4 points of damage the next round–but this is only possible if the cleric was wearing an extra nifty little hat thingy at the time when the spell was cast (see picture, above). Spell wants a spellbook all to itself. If this already true, it wants the spellbook illuminated, re-bound, gilded, etc. at a cost of 1d6 x spell level x 10 gp. Spell feels its current position in your brain & your possessions is insecure, and demands to be scribed onto a scroll that is given to a M-U who leads a less dangerous lifestyle. Spell falls in love with another randomly determined spell in the M-U’s repertoire. It will only be scribed into a spellbook or scroll that also contains its beloved, and will only be memorized when its beloved is also memorized. Spell hates another spell and will not co-exist with it in a spellbook, scroll, or M-U’s brain. Spell wants its M-U to go on a quest: spells cast on a target want to be cast on a particular kind of target (roll as if for a wandering monster), illusion spells want to view the reality of some obscure thing they can emulate, etc. Spell chooses a new, fancier name for itself and will refuse to be cast, memorized, or scribed for 1d6 days following any incidence of being referred to by its older and less grandiose name. If I were to use these in a game, I’d probably roll for a spells’ goal at the point where it was acquired, and likely wouldn’t do so for every spell (maybe roll 3d6 for the spell’s drive, and worry about its goals only if the total equals or exceeds the magic-user’s wisdom). I’d provide a stick to make the consequences of failing to cater to your spells’ whims (like introducing your favorite set of magical fumble rules, or increasing the likelihood of fumbles if you’re already using them), but balance it out with a carrot. This might be the nature of the spell itself – perhaps only the most useful and desirable spells have goals – or it might be giving ordinary spells an advantage, like a penalty to the saving throw against a spell that’s fulfilled in its desires. 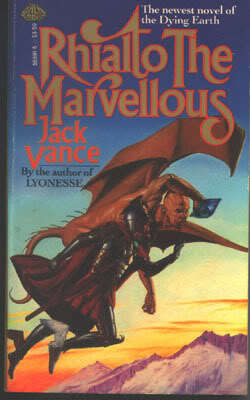 In a recent post, Tavis discusses Vancian magic, both in terms of Jack Vance’s original work and its translation into the familiar Vancian spellcasting found in D&D. I’ve done some tinkering with the magic system in my Red Box campaign. I hope that you, gentle reader, find something useful in this implementation that you can take away for your own game. In this setting, magic is idiosyncratic. 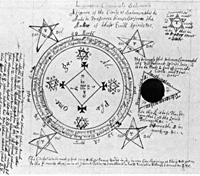 One’s spells must take into account all the elements of one’s magical nature: one’s true name, the astrological signs ascendant at one’s birth, the peculiar alchemical affinities of one’s own blood, the entities that one’s magical lineage has pacted with, etc. Thus, no two magic-users employ the same version of a given spell. To use computer programming as a metaphor, view each spell as a program and each magic-user as an operating system. Unlike the real world, no two of these operating systems are identical! Whenever one magic-user wishes to learn a spell from another, he must revise the spell so that it works on his “operating system”—his personal magical idiom. Still, it’s easier than researching a new spell from scratch. This magic-user is performing an initiatory rite to add a new spell to his repertoire. 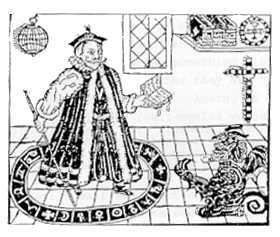 The power for spells comes from extra-planar sources: gods, demons, elementals, fairies, timeless arcane intelligences, etc. It is not enough to know the words and gestures of a spell. One must also perform an initiation into the mysteries of the spell, forging a pact with an extra-planar entity to power the incantation. Sometimes these rites are unsuccessful. They might not be devised properly or executed correctly. Hence the possibility of failure—even catastrophic failure—in spell research. Unlike the magics used by Rhialto the Marvellous, Iucounu the Laughing Magician and their fellow thaumaturges in Vance’s work, these spells have no volition; one does not struggle with them lest they wriggle out of one’s mind and into the world. But they are not simply “memorized,” either. A spell is a matrix of magical forces that exists within the magic-user’s mind. 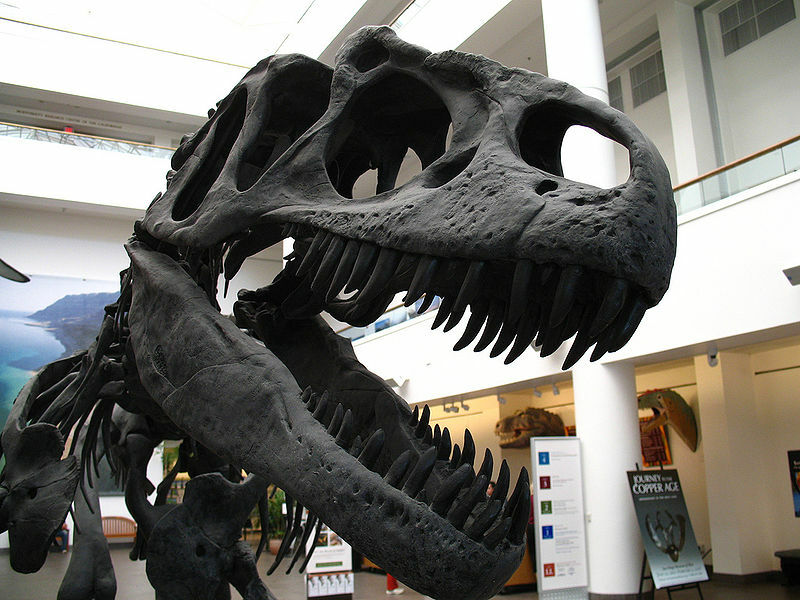 In a sense, it is a single-use magic item, and it obeys similar principles in play. An enterprising magic-user might even find ways to strip away an opponent’s prepared spells, although it will take something more impressive than a mere dispel magic to do so. A magical scroll is not simply a bit of writing. It is essentially identical to a prepared spell, except that instead of keeping the spell matrix inside her own mind, the magic-user binds the matrix to a roll of parchment. Now, instead of reciting the trigger words from memory, the magic-user reads them off the scroll—or gives the scroll to another magic-user, who can do the same. One does not simply cram spells into one’s head willy-nilly. They must be fitted together into lattices. As magic-users grow more powerful, they can accommodate increasingly larger configurations of spells. Much like electron shells in an atom, each lattice contains a fixed number of spells of each level. Thus, a conjurer may encompass no more than two first-level spells and a second-level spell; the first-level spells may not be replaced by a second-level spell nor vice versa. Scholarly magic-users may refer to the nodes of the lattice as “valences,” a term shamelessly stolen from Sepulchrave’s Tales of Wyre. These spell valences are of a fixed order of power and complexity. Thus, there are no “third-and-a-half level” spells. A page from a wizard's compendium. Magic-users don’t generally have “spellbooks” in the sense we think of in D&D, with each page filled in with the specifics of a given spell. Instead, they have compendiums of magic: occult encyclopedias full of information, diagrams and formulae regarding alchemy, astrology, necromancy, theurgy, and all of the other recognized schools of sorcery. When preparing a spell, one pores through one’s compendium for the specific elements of the spell—the appropriate diagrams and formulae—and impresses the magical matrix of the spell upon one’s mind. Some magic-users do take the time (one day per spell level) to transcribe the exact formulae involved in their spells, thus creating a “spellbook” much like the typical AD&D spellbook. Such spellbooks are often used by magic-users when traveling or adventuring, or to loan out when trading spells. Not every wizard the party defeats will have one, however, and if a PC magic-user steals or borrows one from an NPC, he must still research the spell to translate it into his own magical idiom and perform the necessary initiation. A spellbook that only contains a few spells is much smaller than a full occult compendium, as it contains only a few specific formulae. Beyond a certain point, however, a spellbook becomes larger than a compendium, as a given occult chart or diagram may be repeated a dozen times for use in a dozen different spells. Thus, magic-users with large repertoires may not wish to rely on spellbooks! One may attempt to prepare a spell from memory if one has neither compendium nor spellbook at hand. This is very dangerous! If one constructs the spell matrix with even one incorrect glyph or syllable, the spell will go awry. If one is lucky, it will simply fizzle when cast; worse, it may come out warped, backfire on the caster, or even provide an opening for an extra-planar entity to enter the world.